I have worked within the care profession for over twenty years. During this time I have worked in a number of different establishments supporting individuals with complex and challenging needs. 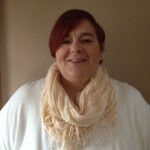 I started my career as a support worker and have continued to learn and grow during that time resulting in managing and then overseeing a number of services. I am a mental health nurse and have been in a senior management position for eight years. I joined Hilton in 2009 as the Quality Manager, the role is very challenging and rewarding. All the Tenants we support have different individual needs and we are very passionate about delivering high standards of support to all our Tenants. I feel extremely privileged to be given this exciting opportunity, I am very committed to providing an inspirational and life-enhancing experience for all our Tenants to ensure they live the life they want. I am also a member of the Audit and Health & Safety Committees. The members of each Committee are responsible for monitoring and reviewing the standards of our service delivery. We take corrective actions accordingly if any shortfalls are identified. I very much look forward to working with you and your Circle of Support.